Millions of people around the world experience the painful and annoying symptoms that characterize Antritis. While many of us experience these symptoms, we do not always know that what we are suffering from is Antritis or that it can often be easily treated. However, chronic cases of Antritis require more comprehensive forms of treatment, so knowing the symptoms to look for and getting them treated as soon as possible can save you a lot of pain and irritation. Everyone has antrums in their body. Antrums are chambers or cavities located in specific parts of the body and are mostly closed off. (1) Antritis can occur in any of the body’s antrums, including the stomach (also known as the gastric antrum) and the paranasal sinuses. Whenever mucous, air, or any type of secretion collects in an antrum, pressure builds up and pushes into the sinus wall, swelling, edema, or inflammation. Antritis is often caused by a bacterial infection. Those who develop this condition generally experience severe nosebleeds, chronic respiratory infections, or dental diseases prior to the manifestation of Antritis symptoms. Additionally, Antritis can develop after you bathe in contaminated water. This health disorder might also be connected with chronic allergies. Nasal discharge of mucus is a primary symptom, but it is far from being the only symptom of Antritis, especially it is a common symptom of numerous illnesses. However, if you have been experiencing nasal discharge for at least one week and have any of the following symptoms, your doctor might assume that you have Antritis. 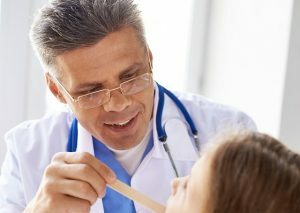 You should consider seeing your doctor as soon as possible if you have had a runny nose for 7 days or longer, if you have previously been diagnosed with Antritis, if you are experiencing pain around the eyes or blurred vision, or if you have unsuccessfully self-treated your symptoms for 3 days or longer. One of these complications is inflammation of the optic nerve, a condition known as Optic Neuritis. The optic nerve is actually a bundle of nerve fibers that relays visual information between the eyes and the brain. Those who develop Optic Neuritis often experience temporary loss of vision and pain around the eyes. Once an initial manifestation of Optic Neuritis is detected, steroid treatments can be implemented in order to provide a quick and full recovery. Another complication that can arise when Antritis is left untreated is Meningitis. Meningitis is the inflammation of protective membranes located in the brain and spinal cord. It is generally spread through a virus or bacteria, and symptoms can range from mild to severe (such as seizures or going into a coma). The third complication from untreated Antritis is Osteomyelitis, which is an infection found in the bones that leads to bone loss around the purulent sinus. The infection is often caused by a form of staph bacteria called Staphylococcus aureus. Symptoms can include nausea, swelling around the infected bone, and fatigue. Osteomyelitis can be treated with antibiotics and is prevented by keeping injuries to the outer layers of the skin clean after the injuries occur. As with many viral and bacterial infections, the best way to avoid contracting them is through practicing good hygiene. Make sure that you consistently wash your hands with soap and water to avoid contracting infections. If you receive an external injury, always make sure that you clean it and properly dress the wound to avoid infection. If you have Antritis, your primary treatment goal will be to reduce swelling in the sinus cavities and allow for a better drainage flow of mucous. Treatment should ideally help alleviate the pain you feel and clear up the infectious virus or bacteria that caused this condition to develop in the first place. You should be wary of causing any scar tissue to form. Also, you will need to be mindful of not causing any further (and permanent) damage to the nasal and sinus cavity tissues. Since then, more effective treatments have been developed to help treat cases of Antritis. Antritis can be treated with at-home remedies and with doctor-prescribed medications. Sometimes, chronic cases require multiple rounds of treatment, so do not get discouraged if one round of antibiotics does not fully cure you of your symptoms. Treatments vary between acute and chronic cases. Acute Antritis is Antritis that lasts for less than 4 weeks, and most people who contract it can fight off the illness without the assistance of prescribed antibiotics from their doctors. 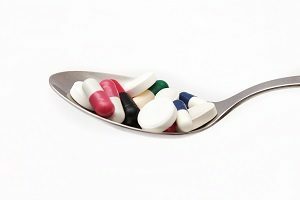 Those who take antibiotics for acute cases usually experience successful recoveries, especially when the first round of prescribed antibiotics is taken in full as prescribed by a doctor. Treating chronic cases of Antritis can be more difficult. A chronic case is one that has persisted for at least 12 weeks. In these cases, most at-home remedies are ineffective, and one round of antibiotics might not even be enough to clear out such a widespread infection. Although they are not as common as bacterial or viral infections, Antritis from fungi or other germs can be especially difficult to treat, especially since they tend to manifest predominantly in those with already compromised immune systems. Those with immune deficiencies, autoimmune disorders, cancer, or the very old or very young are all at risk for contracting Antritis through fungal infections. Fungally-based Antritis does not respond to antibiotic treatment, so it might require corticosteroids, antifungal medications, and/or a surgical procedure. If you think you might have Antritis, one of the best things you can do right away is cut out any foods that cause inflammation, such as dairy, wheat, and gluten. Also, since Antritis affects the sinus antrums, it is important that you abstain from smoking or being around cigarette smoke since it can generate even more inflammation in the sinus cavities. Consuming alcohol is generally discouraged as well since alcohol is an inflammatory substance. If your symptoms seem mild, you can try a variety of at-home remedies geared at reducing sinus inflammation and properly draining mucous. It is important to stay hydrated, so drink plenty of water. You can also apply a damp heating pad to your face for 5 to 10 minutes several times a day to relieve swelling and pain. Humidifiers can also help create moisture within your home. If you are taking over-the-counter medications to alleviate sinus or allergy problems, remember to use them with caution. Always follow the prescribed dosage listed on the package, and stop taking these medications if you do not get better or develop negative side-effects. Infections can quickly spiral out of control if they are not promptly treated. Even at-home remedies might not be enough to get rid of bacteria or a virus that causes Antritis. If you have been self-medicating for 3 or more days with no improvement, you should consider contacting your doctor. Your doctor might want you to go in for an appointment so that they can formally diagnose you and begin a round of treatment. 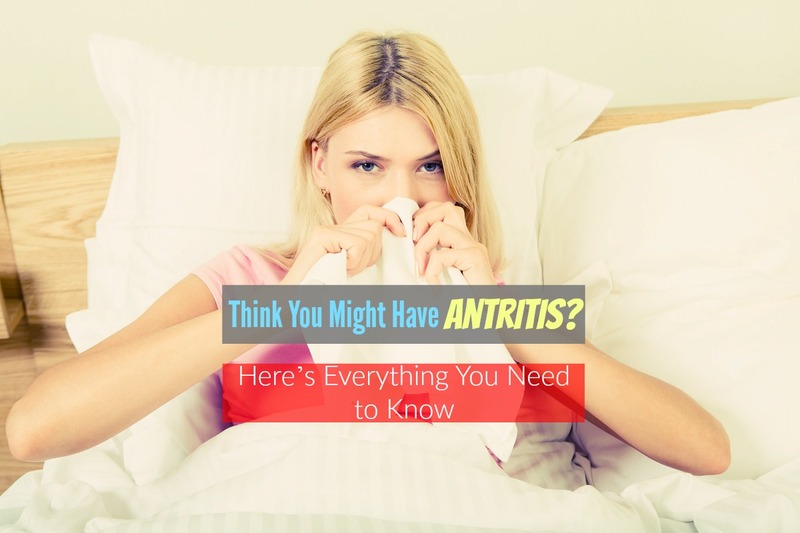 Antritis is a painful infection that can severely impact your quality of life. While this type of infection generally clears up within a few days, it can become chronic. Even if you are suffering from acute Antritis, it is imperative that you begin treatment for this illness right away, regardless of whether you prefer trying an at-home remedy or call your doctor to set up an office visit. wheat, gluten, alcohol, and cigarette smoking. » Be mindful of any particles in your environment (such as dust or pet dander) which might cause further agitation if your Antritis has manifested in your sinus cavities. » Begin at-home methods for reducing the swelling in your body, including staying hydrated and adding a humidifier to your home. » Use over-the-counter nasal sprays or other medications with caution. » If your symptoms do not improve after about 3 days of at-home treatment, you should call your doctor to see what they recommend doing.